PADI, diving and Instructor Development (IDC) around Thailand: A liquid image? 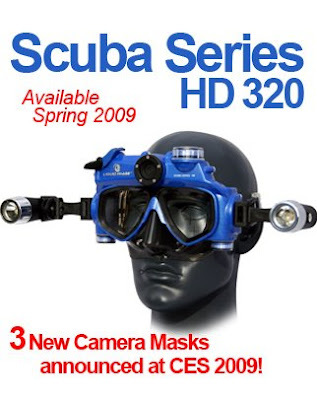 Recently I stumbled over this amazing piece of dive equipment. 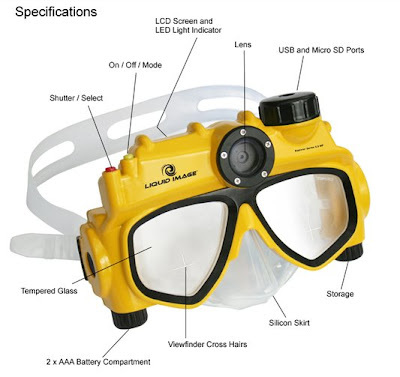 Yes, you're seeing right, an underwater camera build into your mask invented by the good folks of Liquid Image. The max specified depth is just 5 meters but around now a scuba series should be introduced with a max depth of 35 meters, see picture below. Although they don't look very streamlined, they're an amazing feat in my opinion and let's hope that this is just the tip of the iceberg of underwater gadgets and tools to come.